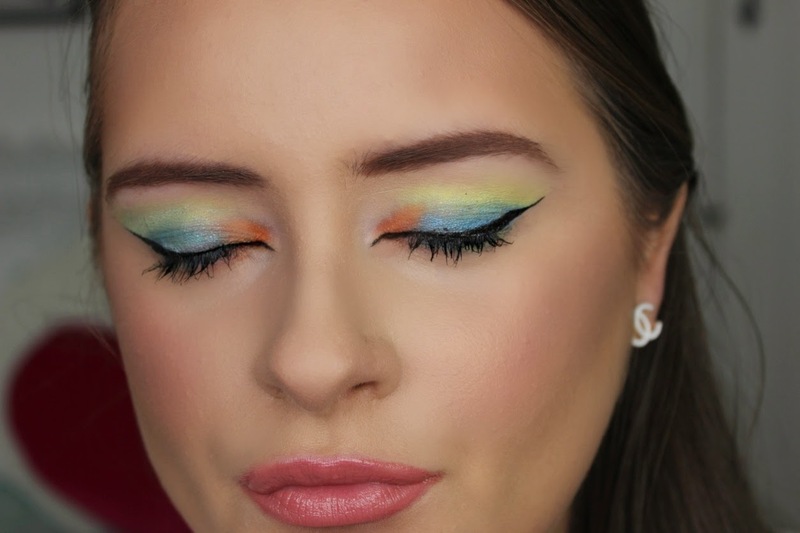 Now that it's spring and I was in need of brighter clothes, I decided I should ramp up my eye looks here on my blog too. 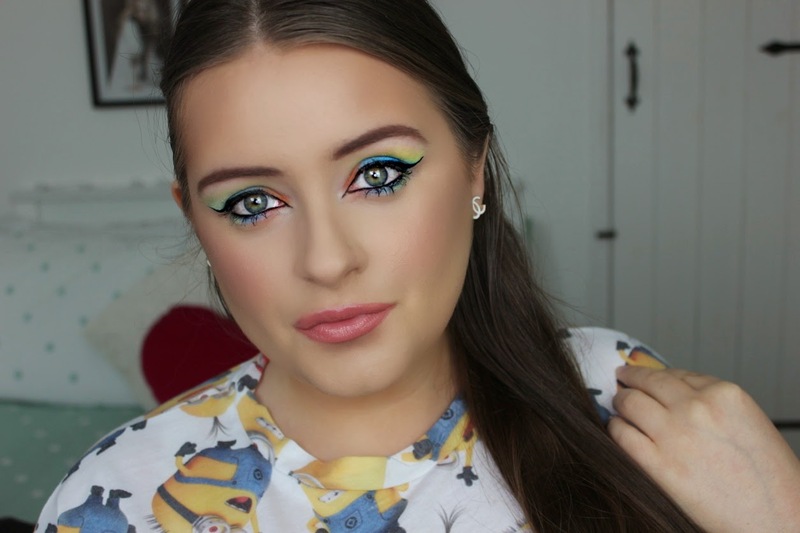 This look is inspired by my new Minion tee that I have on. 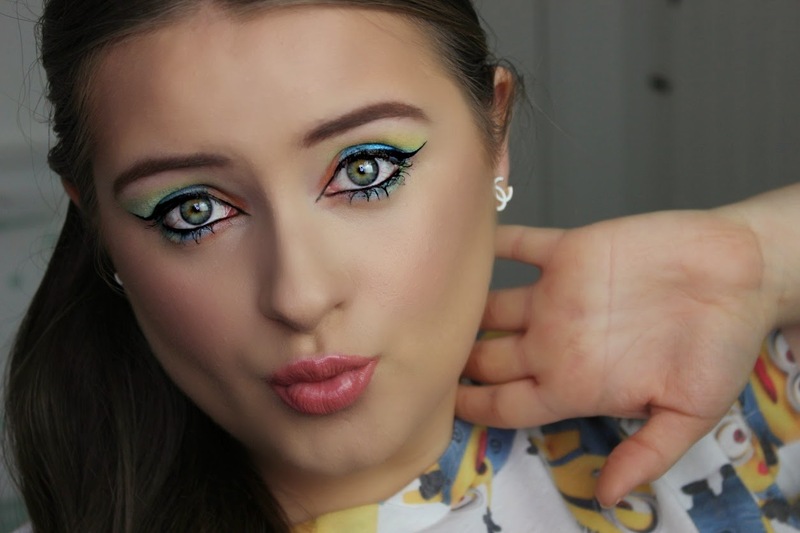 So I went with bright colours which are probably more suited to summer but who cares, right! 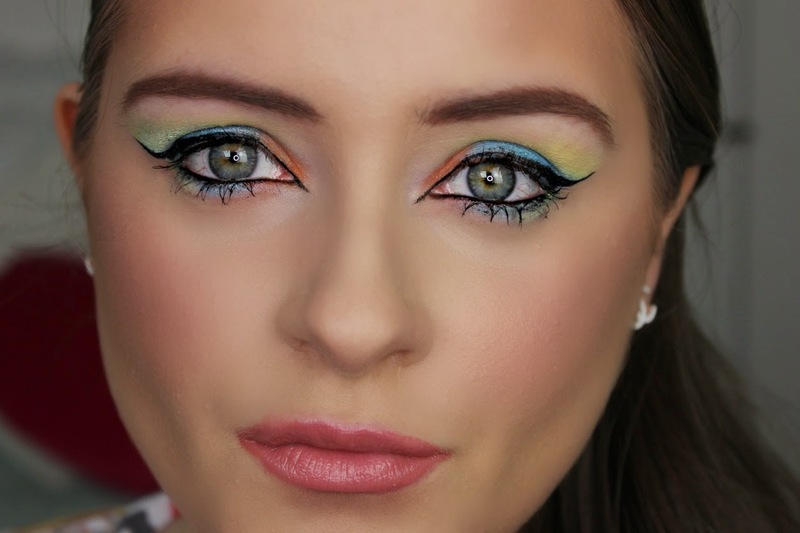 I used my 120 colour palette and used a mix of the orange, blue and yellow shades to create these colourful WOW eyes. VERY cool and creative. You're an artist! Thank you so much Jillian. Too cute! 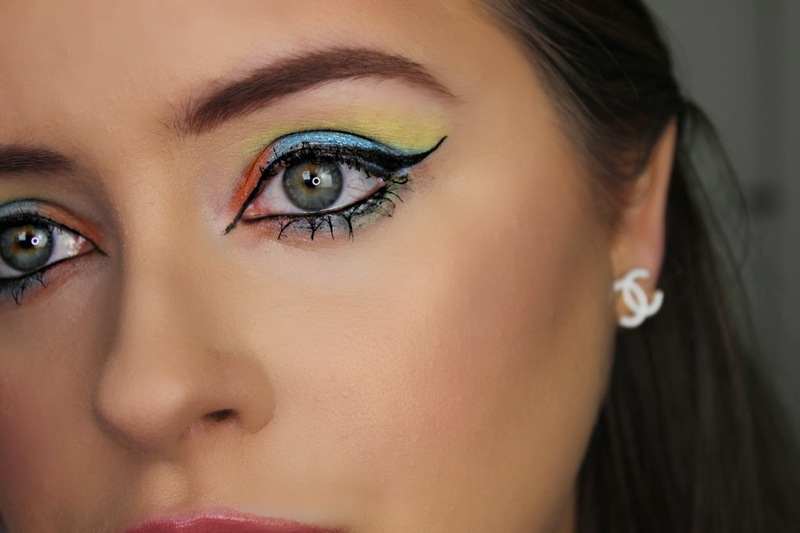 Love everything about this look! Happy Friday and have a lovely Easter! Thank you so much Vanessa. Have a lovely Easter too.